Ollie Moore is known for drawing the very best from unusual or overlooked ingredients, with dishes that leave diners wondering why they are not more commonplace. His Mugwort panna cotta recipe is indicative of this cooking approach, and a real highlight of this collection. 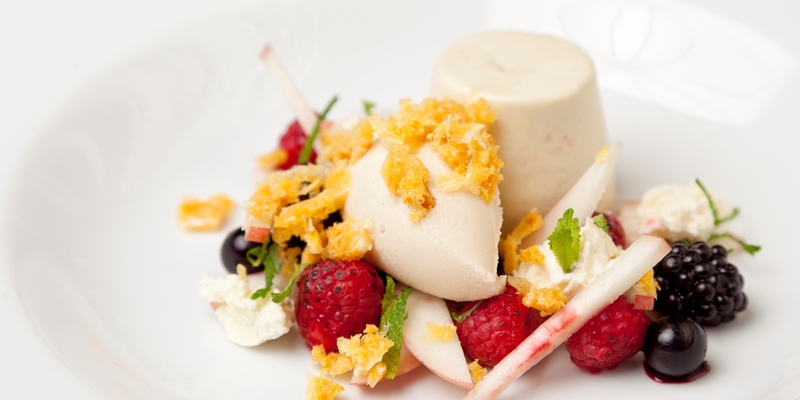 Served with blowtorched berries, roast peach ice cream and honeycomb, it is a dish full of interesting textures and flavours.